John Wick is out on Bluray and DVD today… its a movie that I really enjoyed and said so in my review a few days ago. Now the producers have released this behind the scenes video with the directors Chad Stahelski and David Leitch talking about being first time directors. 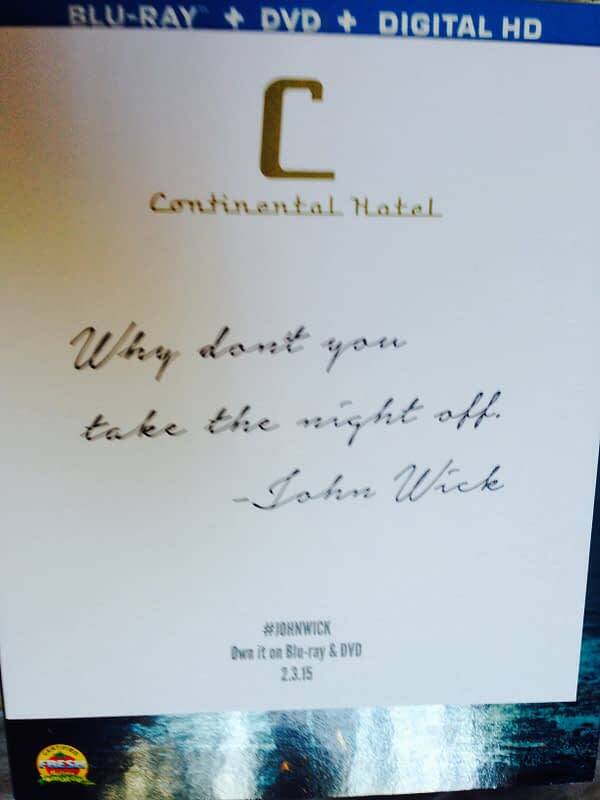 They also sent out some swag to some industry folks which included a John Wick’s Back bathrobe and a note from the Continental Hotel (which is in the film) Saying “Why don’t you to take the night off.” (a line from the film).